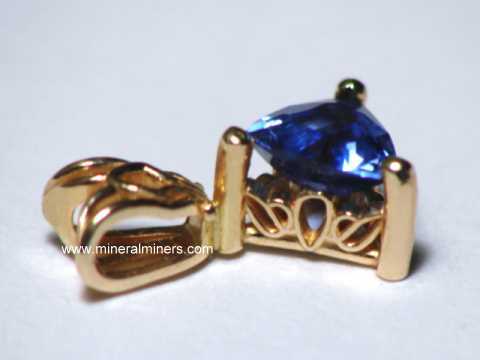 Try our Genuine Fire Agate Jewelry Satisfaction Guarantee - compare our prices and our superior quality. 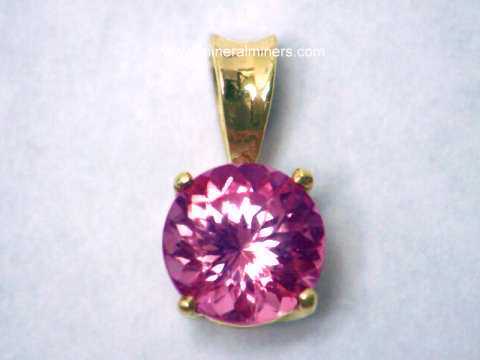 Click on any natural fire agate jewelry image below to enlarge it. 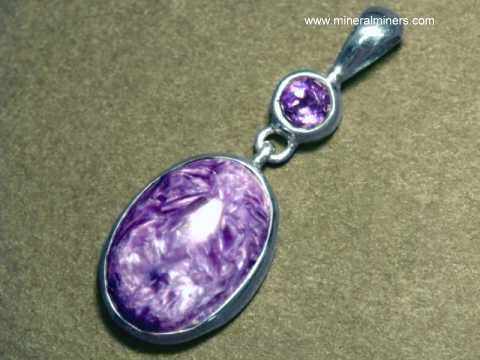 Agate is a variety of the mineral chalcedony. 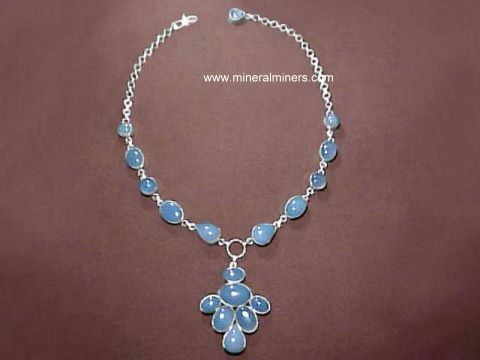 We also have a selection of genuine chalcedony jewelry designs available. 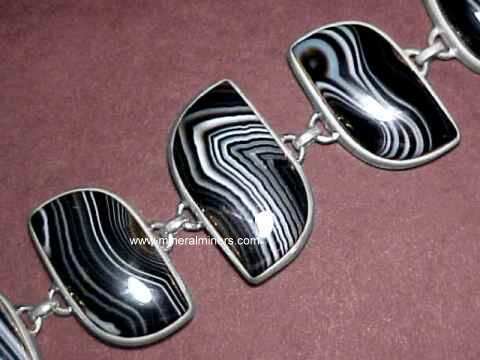 Jewelry set with black chalcedony is known as black onyx jewelry. 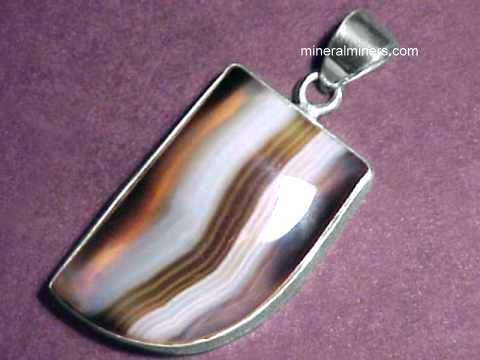 There are dozens of named agate varieties which are usually based on distinctive patterns, colors or other unusual characteristics like natural fire agate, which is only found in the Southwestern United States and in Mexico. 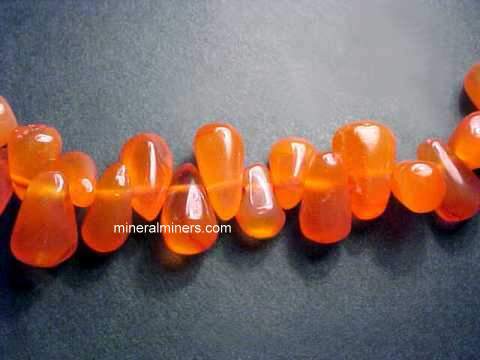 Our fire agate jewelry designs are all set with 100% natural untreated fire agates. 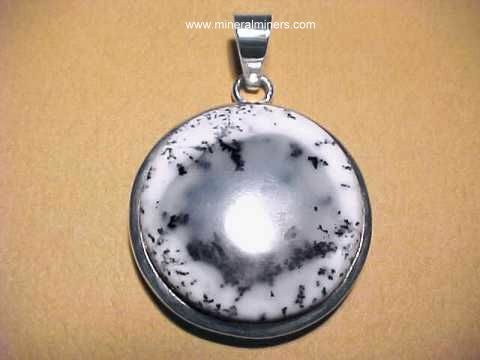 Some of the other natural agate varieties we have available in unique handcrafted jewelry designs are moss agate jewelry, banded agate jewelry, lace agate jewelry and carnelian agate jewelry items. 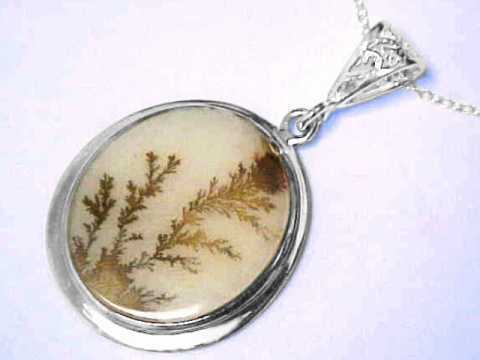 Another rare agate variety that makes very stunning and unique jewelry items is dendritic agate. 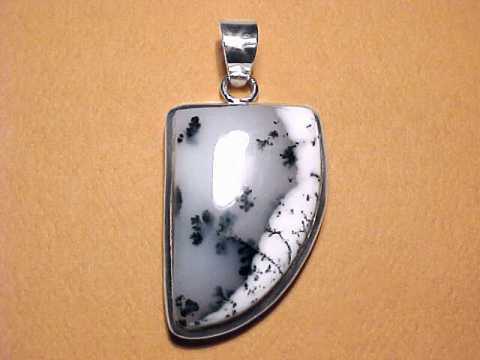 We have a very large selection of these superior quality natural agate jewelry designs available in pendants, rings, necklaces and bracelets. 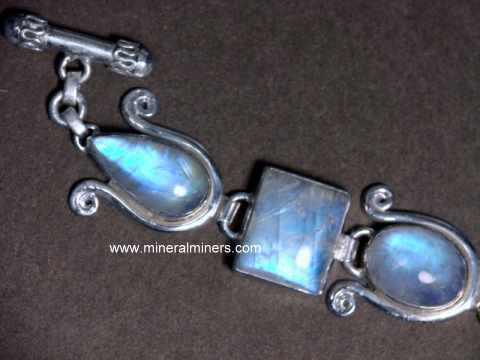 Our genuine agates and chalcedonies were found at many different locations around the world including Brazil, Africa, Montana (USA), Arizona (USA), India and Mexico. 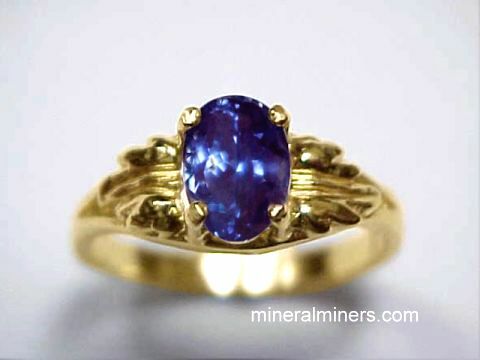 See also our page displaying Agate Geodes. 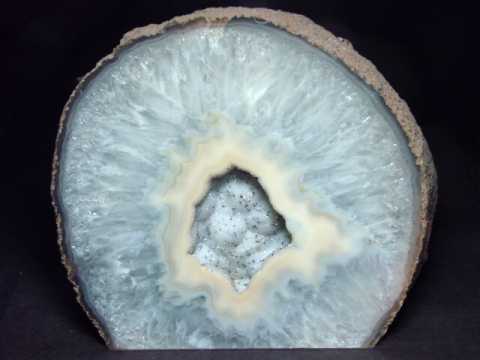 We do have more natural agate geodes and agate bookends in stock. 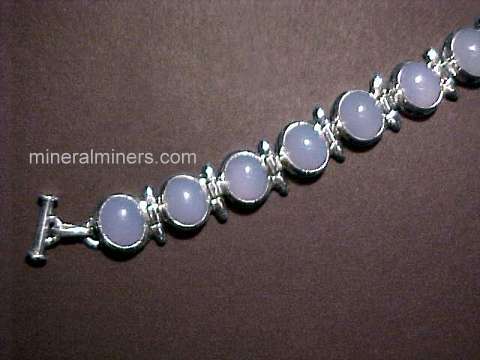 We also have a page displaying only carnelian agate jewelry designs. 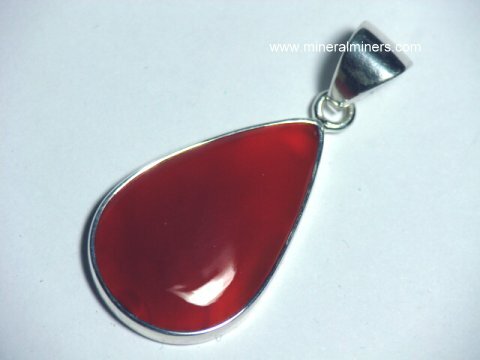 These carnelian jewelry items are all handcrafted in pure .925 sterling silver. 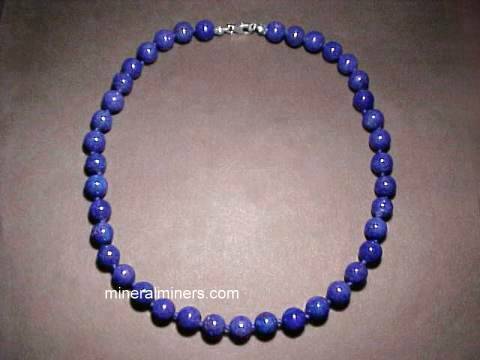 To see more agate photos, just select another item category from the table below. 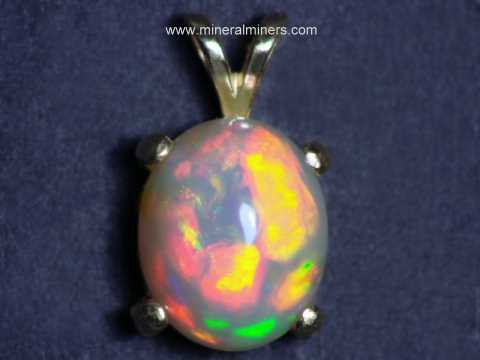 Would you like us to inform you when we add on this page more genuine fire agate jewelry in pendants, rings and necklaces? 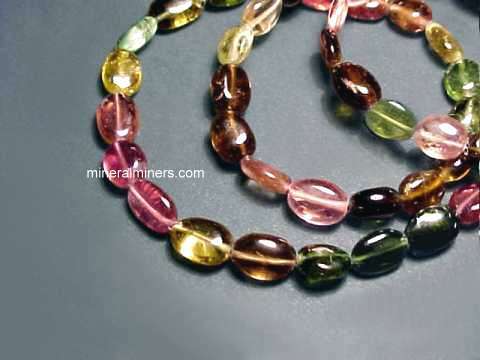 We have more inventory of handcrafted natural fire agate jewelry items in stock, so be sure to let us know if you have any special requests. 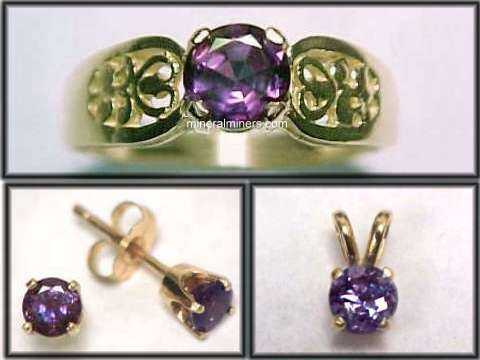 We do have natural gemstone rings, necklaces & earrings available with many other types of genuine gem materials including fine . 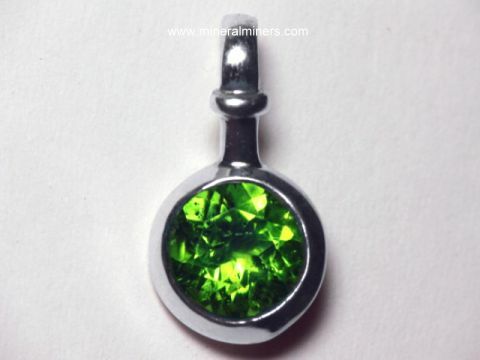 Be sure to see our pages displaying fine peridot earrings and our other natural peridot jewelry designs including genuine peridot necklaces & peridot rings set with natural peridot gemstones mined in Burma and also mined on the San Carlos Indian Reservation in Arizona, USA. 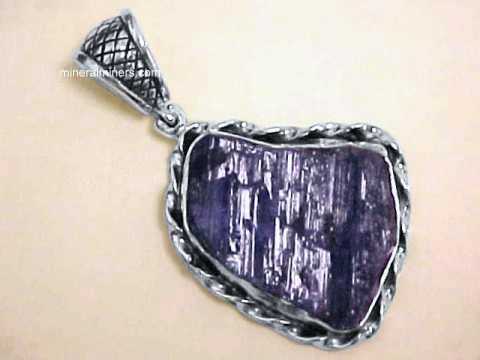 We have some very beautiful tanzanite necklaces in stock, and a large selection of other shapes & sizes available in genuine tanzanite jewelry. 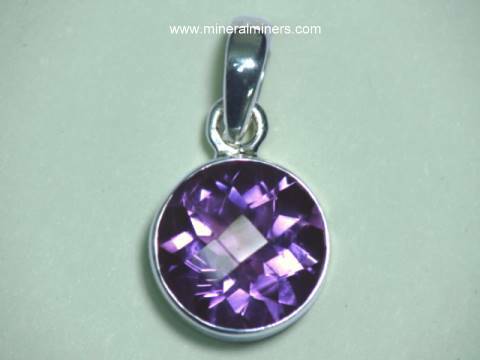 See also our pages displaying natural color change alexandrite necklaces & other natural alexandrite jewelry, and don't miss our natural cats eye alexandrite jewelry! 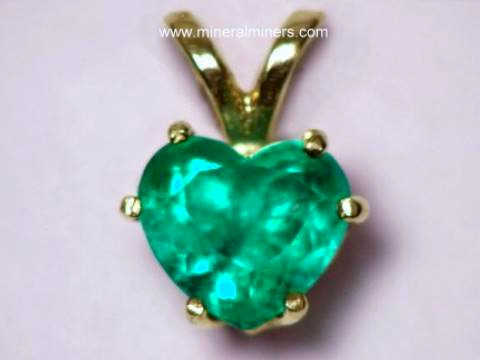 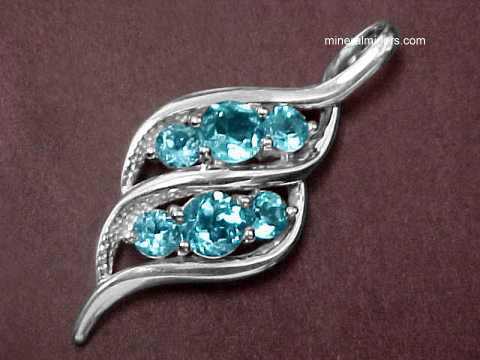 We have been mining for aquamarine, citrine, topaz and tourmaline in Brazil for more than 25 years, and we have a large variety of jewelry styles and sizes available in natural pink tourmaline jewelry and also tourmaline necklace designs including beautiful green tourmaline necklaces & other green tourmaline jewelry. 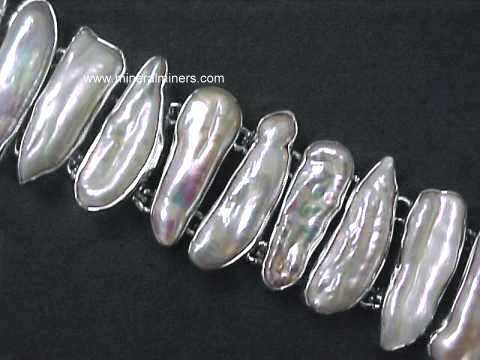 In addition to our genuine freshwater pearl jewelry items displayed above, we also have genuine emerald jewelry, aquamarine jewelry, and our genuine opal jewelry designs with a variety of beautiful opal gems including natural Ethiopian opal jewelry and natural Australian boulder opal jewelry. 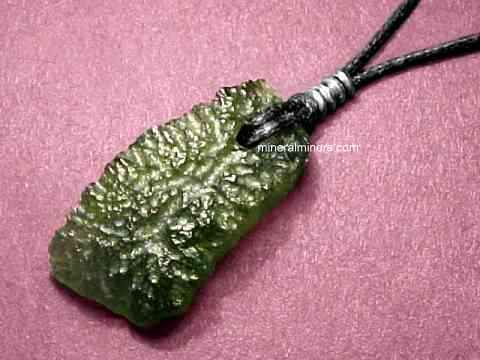 Our natural agate jewelry is available in several different agate varieties including genuine lace agate jewelry, genuine banded agate jewelry, and genuine moss agate jewelry. 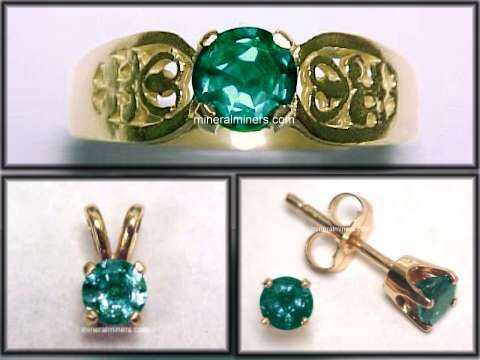 We have a variety of styles and sizes available in natural garnet jewelry items as well in several different rare garnet varieties including genuine tsavorite jewelry and genuine mandarin spessartite jewelry. 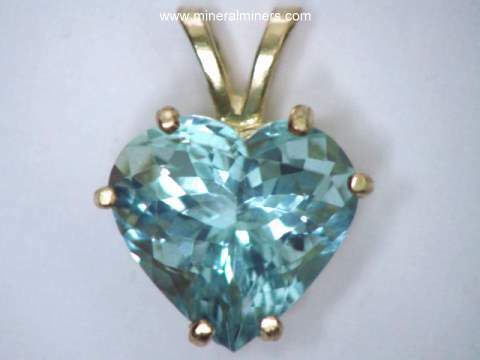 See the following links for a selection of superior quality handcrafted gemstone jewelry.